Besides being one of Bath’s most popular open spaces, Alexandra Park is also a popular destination for visitors to the city who come to enjoy what are arguably the most striking views of this grand heritage landscape. The views from the park are part of Bath’s heritage. The walk up Beechen Cliff and the view of the city from the top have long been famous. As well as the mention by Jane Austen in Northanger Abbey quoted below, Thomas Hardy also wrote a poem called ‘On Beechen Cliff’. The site occupied by the Park was originally farm land, but then in 1896 the Council agreed to purchase a field of 11 acres on the highest part of the cliff together with a right of way over a new road (now known as Shakespeare Avenue). The cost of the land was £2750 with a further £1250 set aside for laying out the park and building the road around it. ‘it would be difficult to find in any part of England a short drive so near a city in which so wide and varied and beautiful a series of views is disclosed to the visitor’. Some of those views are still visible; others are now partly obscured by trees in and around the Park, by adjacent houses and by Beechen Cliff School. The opening of Alexandra Park was to have been part of Edward VII’s coronation celebrations but these were postponed because of his illness. The Council decided that the Park was too important to be left unused and so after a delay of a few days, the gates were unlocked by the mayor and an oak was planted. The park was named in honour of Queen Alexandra. Despite its consistent popularity of use, the park has suffered mixed fortunes over the years. More recently, local residents have created a dynamic and effective local friends group. 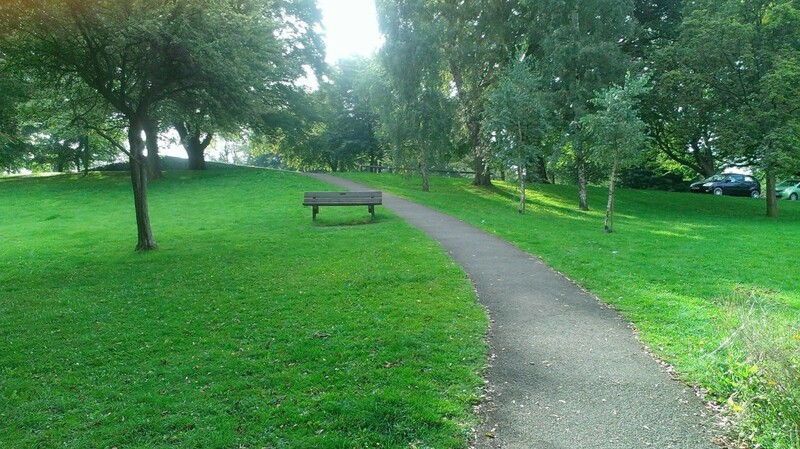 Besides running events and organising community work days to help keep the space clean and tidy and to improve wildlife habitats (through wildflower meadow areas), the friends also work in partnership with Bath and North East Somerset Council to better understand and respond to the needs of parks users. These efforts have culminated in a management plan for the park which sets out how the space will be managed and improved over the coming years; and in 2015, the efforts of the Friends and the council were rewarded with the awarding of a prestigious Green Flag for the site – one of only five across the district. In 2014, an ecological survey of the park was conducted and identified a number of measures to help improve the biodiversity of the site, and to diversify the landscape – to create a visually more interesting space where visitors will have better access to nature. Some of these measures have already been introduced, but there is still a lot more to do; and the friends group and the parks team would like to extend the meadow areas in the coming years. The friends and the parks team have identified three areas where new meadows would significantly brighten views across the park and provide ideal new habitats for wildlife. These areas would need to be created in the autumn or early spring, with the ground rotorvated and prepared and a mixture of annual and perennial wildflowers sown so that, over time, permanent meadow areas would be created. Sowing the meadows provides an ideal opportunity for the community to get involved: young people can make ‘seed bombs’ to help disperse the wildflower seed and then visit with their families over the coming months and years to enjoy the results. 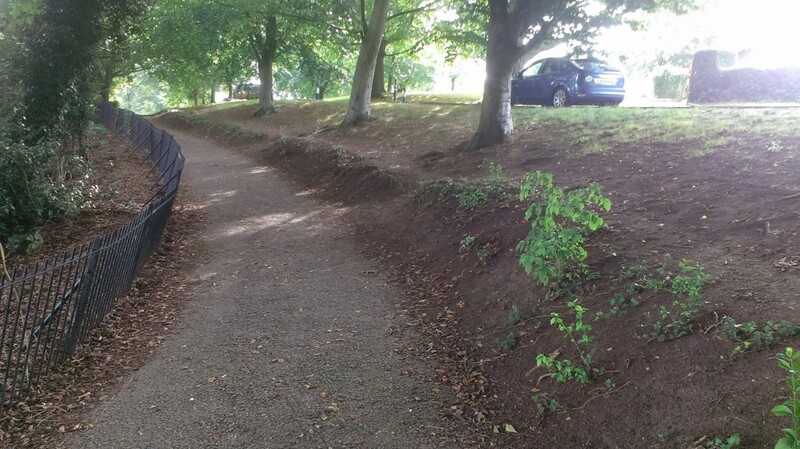 In 2014, the parks team also removed a length of old privet hedge from the park which was causing a number of problems. In its place, the management plan advises the restoration of a traditional spring walk route: a 150m stretch of spring-flowering bulbs along the route to the famous viewpoint which will be enjoyed by both regular park users and by visitors to the city alike. Preparation of the area will need to be undertaken by the parks team using heavy machinery, but the planting of the bulbs provides another ideal opportunity for community engagement. Similarly the management plan recommends planting spring bulbs to the south of the main road entrance. This is currently a somewhat drab and uninviting entrance early in the year and a colourful display of bulbs will go a long way towards helping to create a more inviting space. At the viewpoint itself, there has been an aspiration for many years to install an orientation table – a large angled interpretation panel or fabricated metal sheet – which explains the points of interest within the panorama. To date, this piece of work has stalled due to lack of funds, but there remains widespread support for installing a piece which will recognise the importance of the location and which would help to better communicate the experience for those visitors who have made the steep climb up Beechen Cliff to the park. This work will be supported by an associated initiative further down the hill in Beechen Cliff. New directional signs will be installed downhill of the viewpoint in 2016 helping visitors to find their way. Finally, it is also becoming increasingly clear that there is a lack of decent signage at entrance points to the park. The name of the park is marked on a standard sign at the road entrance to the site but visitors and local people are regularly asking the council for better signage with maps to help them navigate around the park; and information explaining the history and significance of the space. With this in mind, the management plan recommends installing three large entrance boards at each of the entrances to the park with a map of the space and its facilities, information about the history and landscape, and details about the friends group and the park’s contact information. 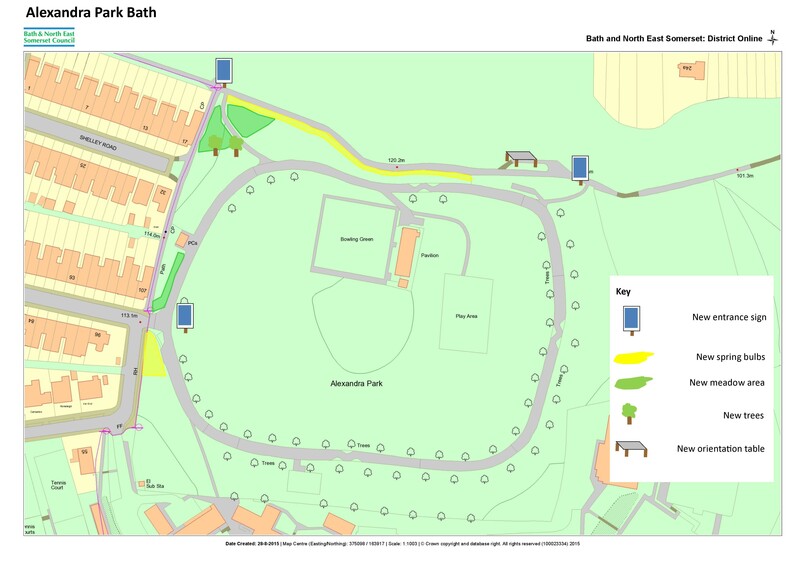 A plan of Alexandra Park showing the locations of the proposed improvement works is shown below. 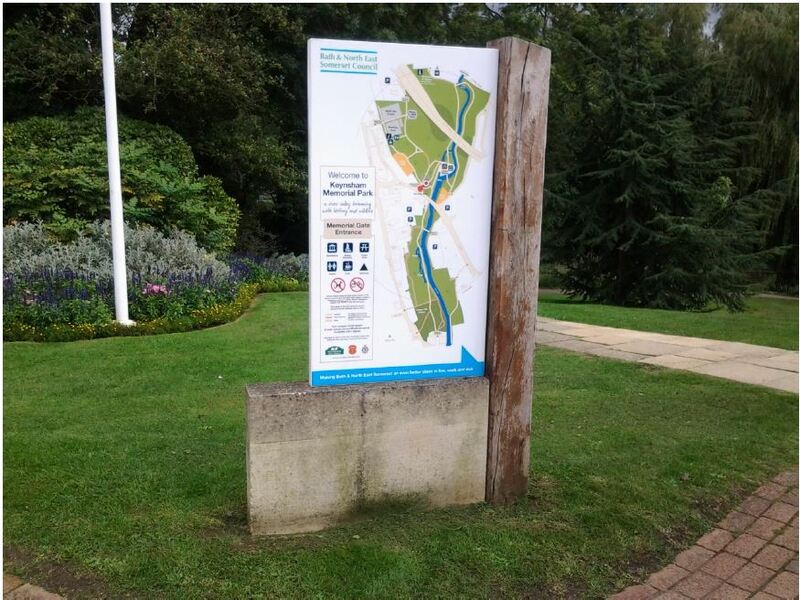 • Better signage for visitors to the park- helping more people to enjoy the facilities and experiences on offer. • A better ‘draw’ for visitors to the view point and an improved experience – and perception of – their visit to the city. • Improved wildlife habitats and better access to nature for young people and families using the park. • An improved landscape with more colour, variety and interest throughout the year. • Sponsorship/marketing opportunities associated with new signage, interpretation boards and trees. • Community events and activities –creating new wildflower meadows, bulb and tree planting and unveiling new signs. • Great PR opportunities for funders – showcasing their contributions to thousands of visitors per year. • Research opportunities for ‘budding historians ‘– collecting information for new signs and interpretation panels. In summary, this project provides a unique opportunity to help transform Alexandra Park, providing improvements for the local community, benefits to wildlife and an improved experience for visitors to the city. The work covers the long term aspirations of local people, the friends group, and the Parks team, and will help ensure that the Park continues to provide benefits for years to come.